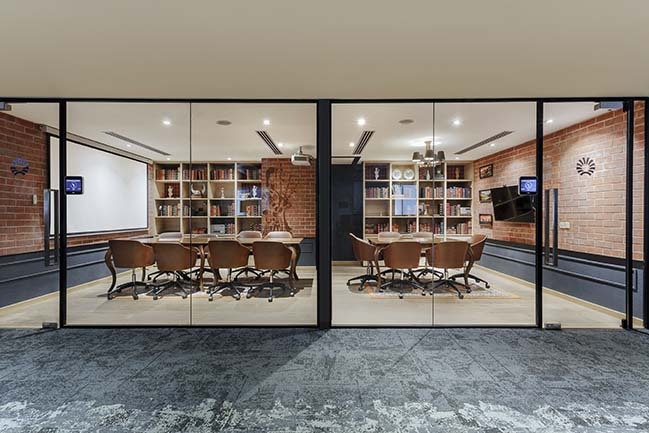 Ultraconfidentiel revisited the conventional office space to create an authentic journey of the senses. 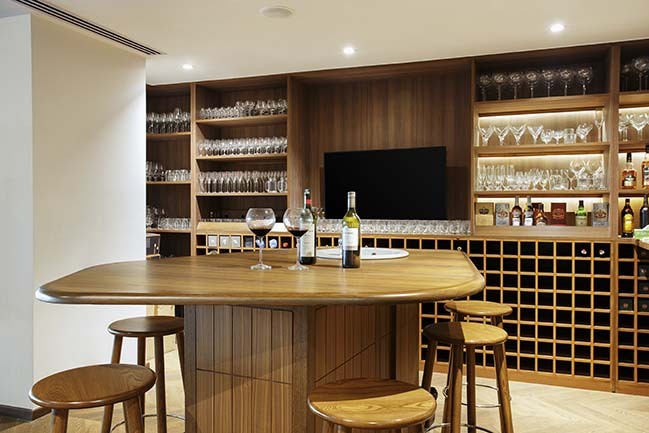 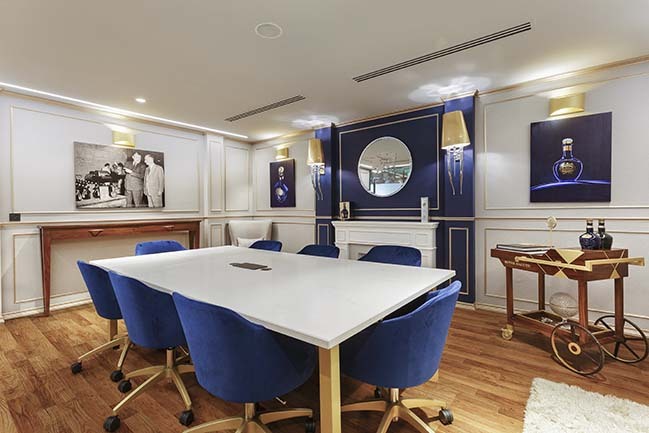 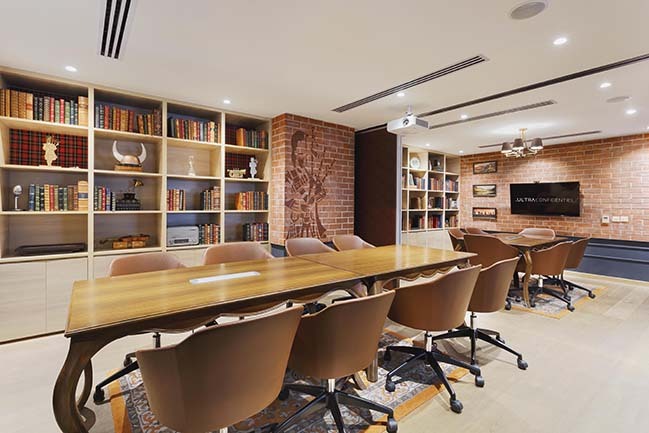 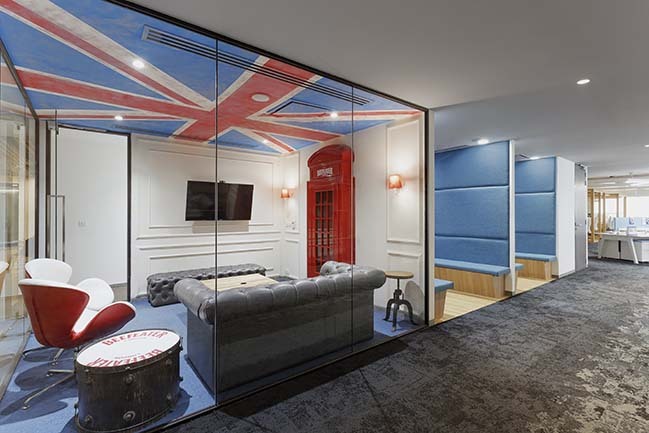 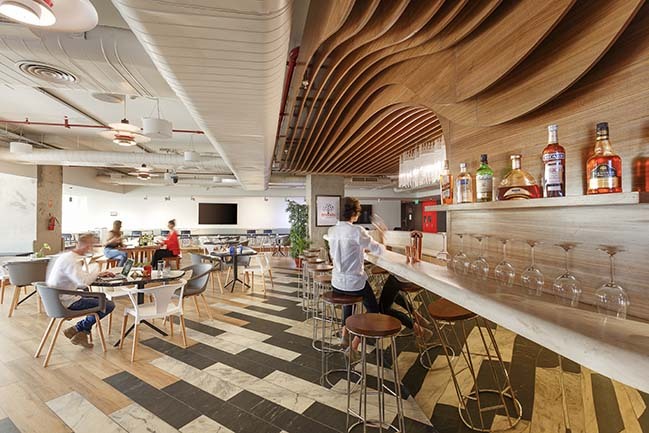 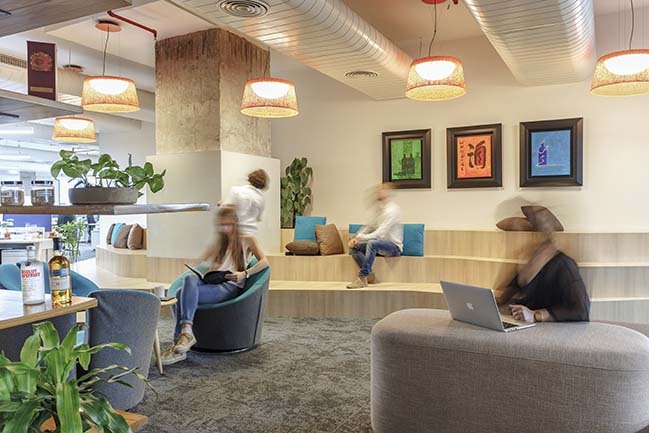 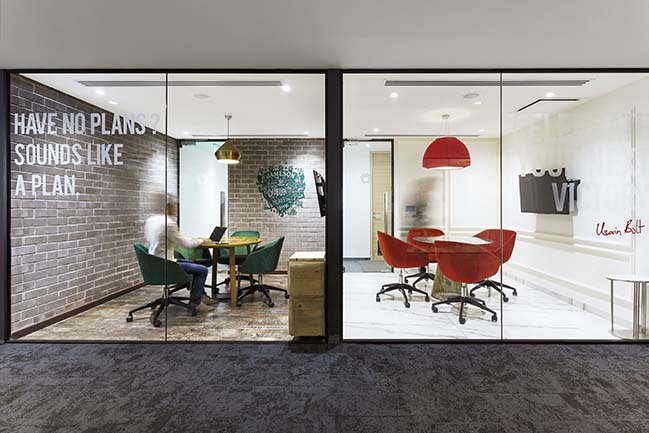 The challenge with Pernod Ricard was to bring conviviality into the office space. 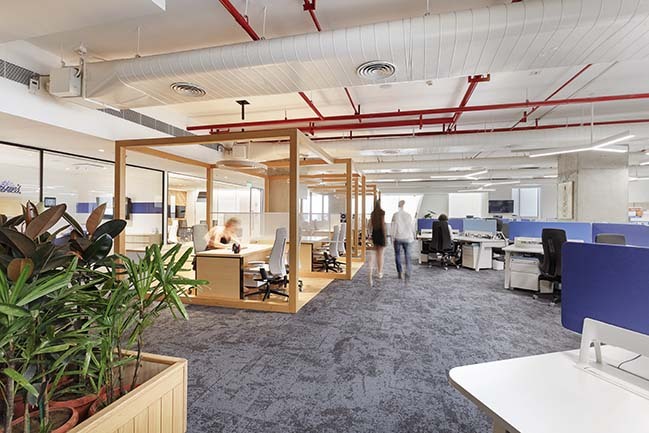 By redesigning the traditional workplace as an open space, the premises have become the preferred grounds for workshops, collaboration and relaxation. 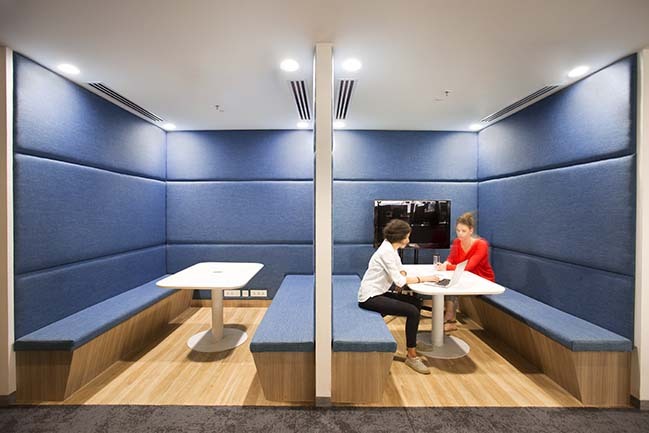 The space adapts to every way of working, balancing connection and disconnection, shifting between quiet places to focus and collaborative areas, thereby meeting each employee’s needs. 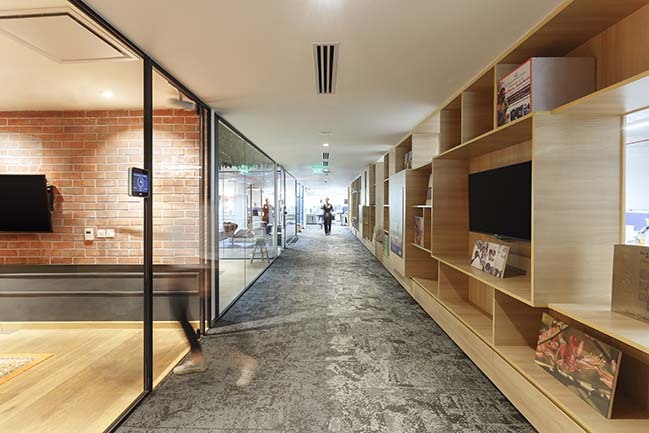 It is a convergence center for social innovation, a place-based hub of ideas, people, and strategies. 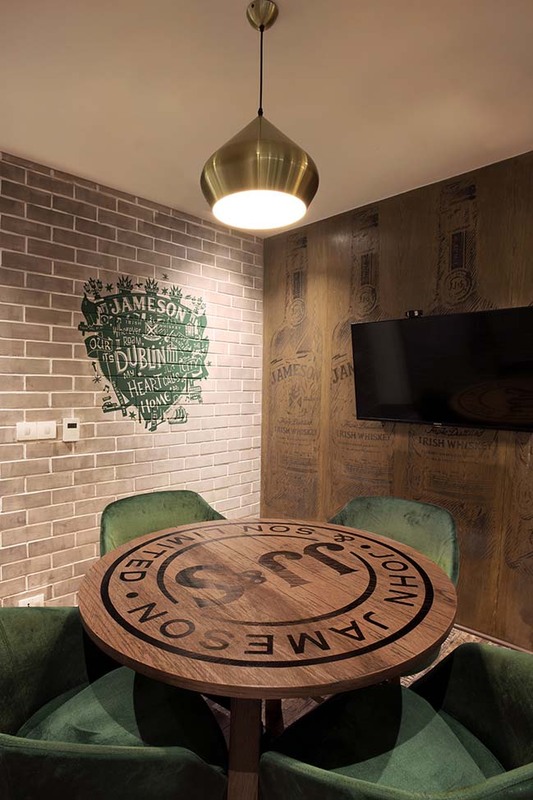 From the architect: The overall aesthetic, reflecting Pernod Ricard’s strong identity in the use of selected material, creates a feel-good atmosphere. 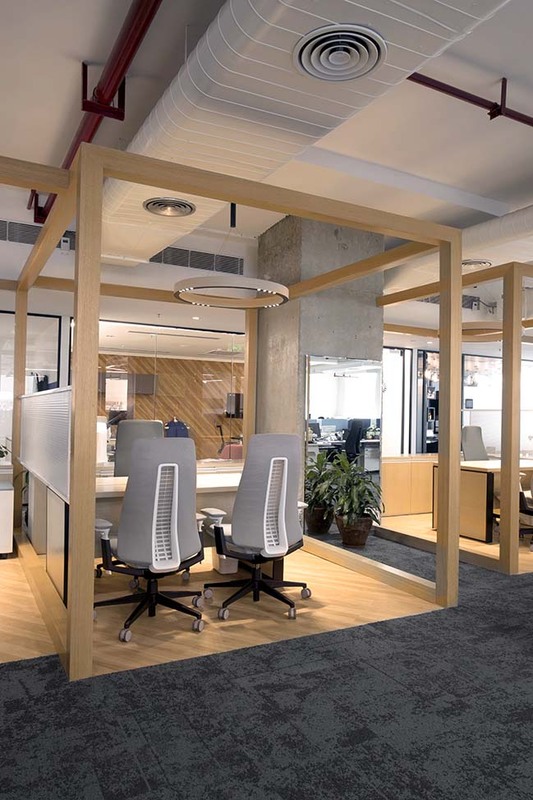 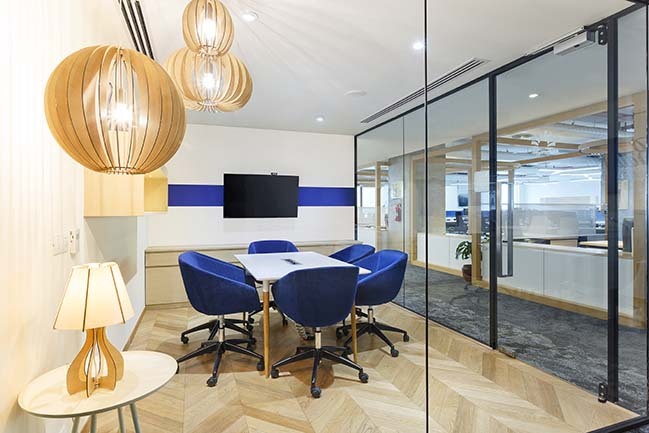 Different areas – bar, collaborative workspaces, meeting rooms, breakout rooms, acoustically-treated focus spaces – turn workhours into an expedition as employees move through the day. 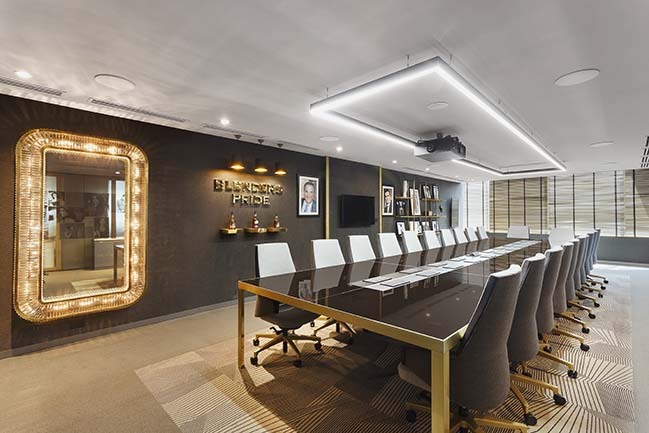 Indeed, the office has been tailored to welcome longserving employees as well as new millennials joining the adventure. 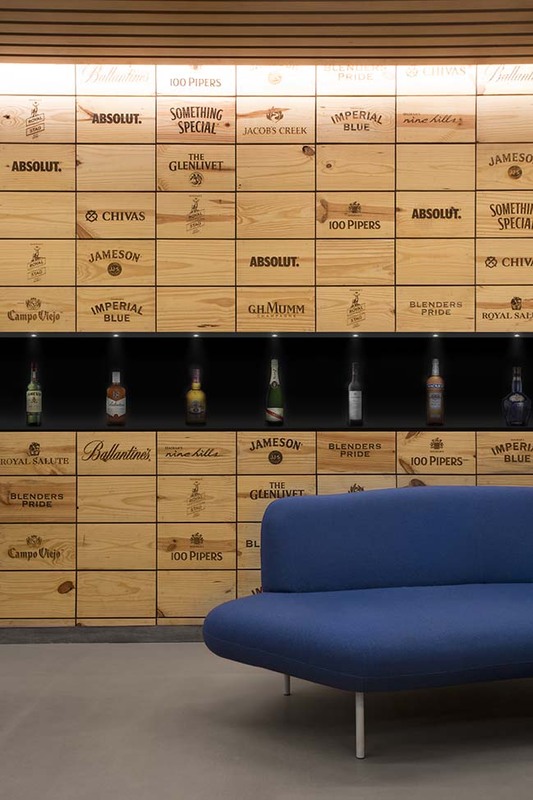 When visitors pass through the gate, they dive deeply into Pernod Ricard’s universe and discover an array of flavors: the wine-crates showcase the company's portfolio and give some rhythm to the wall's design. 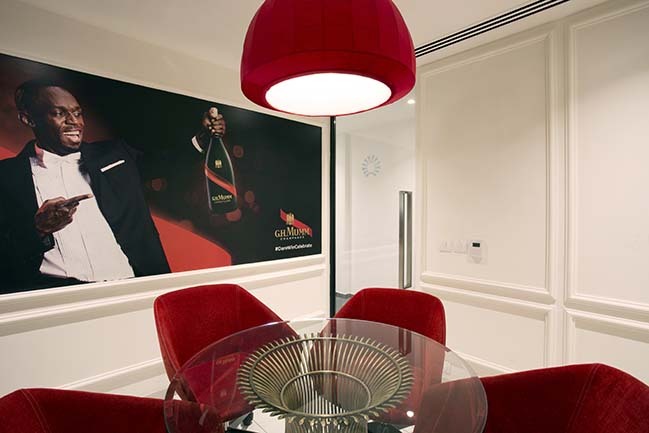 Then, all along the corridor, colorful pieces of art give a subtle reminder of the creative identity of the Absolut brand, showcasing paintings and sculptures of bottles made by famous artists. 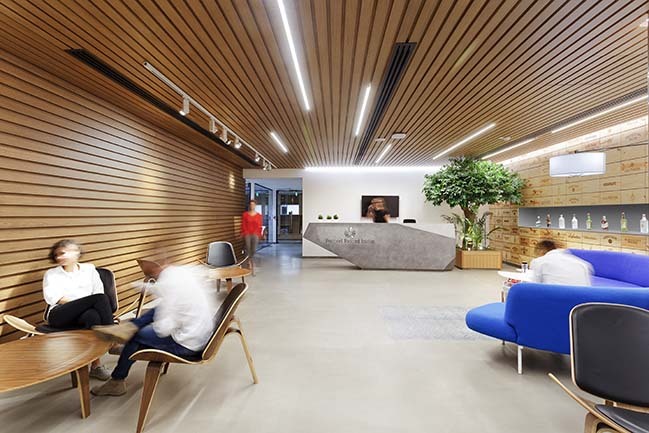 It is the main path that leads the visitor through this unique experience. 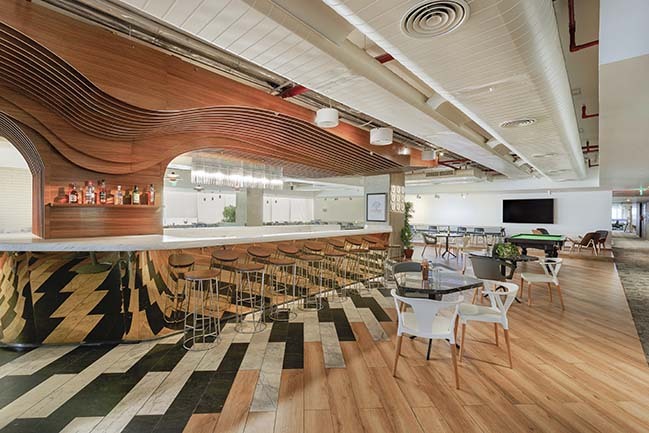 The iconic bar, intended to be both friendly and authentic, is the centerpiece of the project with its wavy-wooden baffle ceiling and displays the company’s bottles. 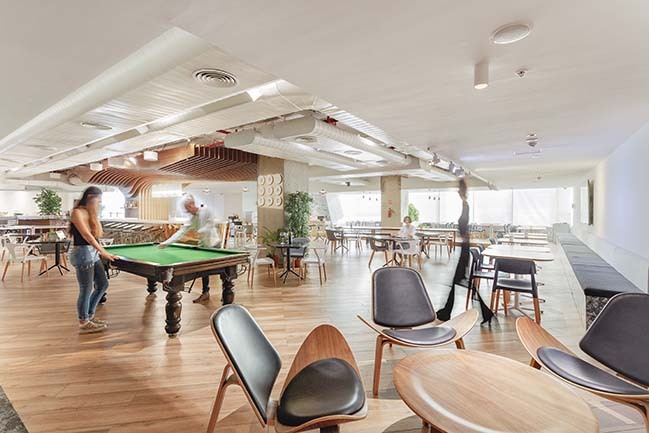 Serving fresh beverages during working hours, it is the dedicated place to take a break: employees can sit and have a drink while playing pool or table-tennis, reinforcing wellbeing in the workplace and improving the innovation process. 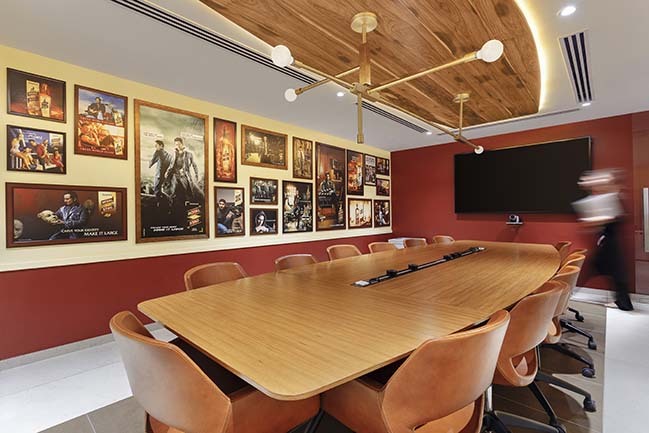 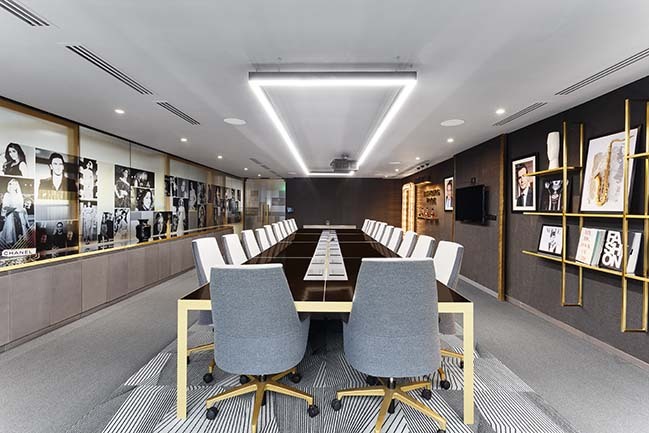 Moving further into the details, the meeting rooms have been designed after extensive research; Ultraconfidentiel team focused on each brand’s values to meticulously select every material, color and shape. 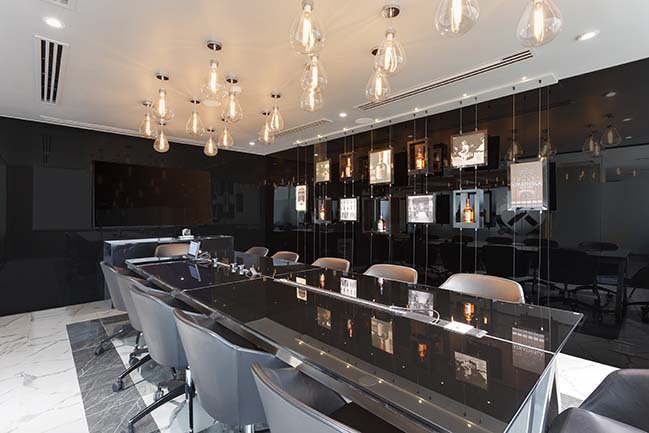 The result is 12 meeting rooms perfectly reproducing the atmosphere of the wine or spirit it depicts. 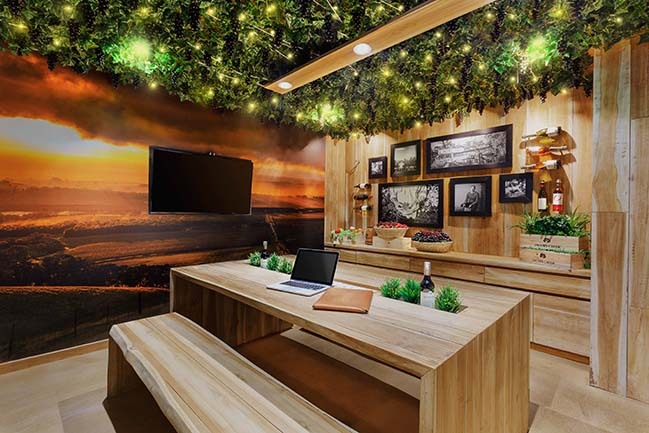 From the classy and luxurious Mumm with marble, gold, red velvet, and white molding to Jacob’s Creek with a grapevine arbor ceiling and immersive wallpaper, the corridor takes you on a voyage from French landscapes to Australian vineyards. 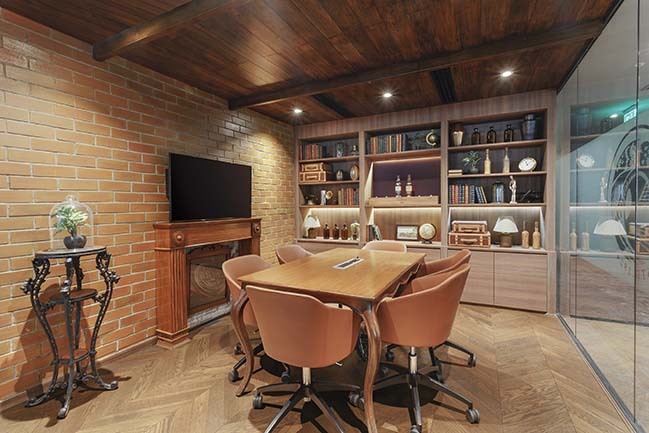 From one room to another, you can feel the wooden flooring impregnated with whiskey of Irish pubs or the sense of soil wet with morning dew of the French countryside.